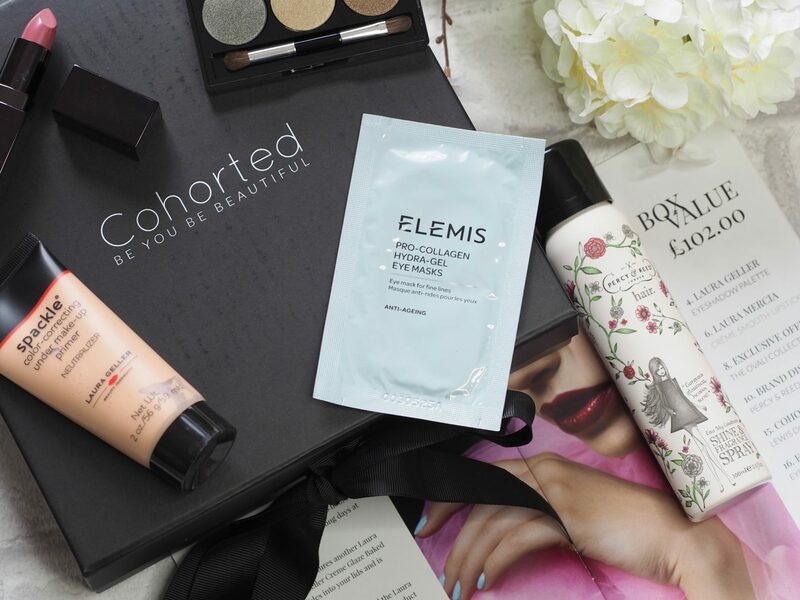 If you’re familiar with my blog then you will know how much I love the Cohorted box which is a monthly beauty subscription box. Each month you receive five full-size products and various exclusive discount codes in a uniquely designed black box with the famous black bow. This month I’m loving the Laura Geller makeup, it seems to be in all the beauty boxes at the moment so I’m gathering a great collection. The Spackle Supercharged Fortified Primer had me most hooked as even the name made me feel like I would turn into some glamorous beauty superhero. I’ve never applied fragrance to my hair before, so after using the Percy & Reid spray I’m now in love with it. It’s left my hair with a great shine even on day two hair and with a subtle fresh but floral scent, what is not to love! I got the Laura Mercier Lip Colour in Antique Pink in my box and oh wow have I fallen in love with this lip colour. After being obsessed with having a matte lip for what feels like over a year now it’s great to be enjoying some shine in the form of a crème. You can visit the Cohorted box website here and view more information on the boxes. You can also view my previous Cohorted blog posts here for examples of previous boxes. A big thank you to the PR team for kindly sending me this box to feature and as always please leave your thoughts in the comments section below. I hope you have a fantastic week!